We all have “emotional eating days, right? So at least if we plan for them… have some healthy treats on hand, knowing that the moments will come and they don’t have to destroy us, we’re proactively protecting against the inevitable brain hi-jacking, in the desperate search for comfort. Today, I had one of those days… and knew if I didn’t do something quick, I’d be rummaging through hidden Halloween baskets in search of something to stimulate a little dopamine release, and I’d be miserable in the morning. So here I go, playing around in the world of Paleo once again… I sometimes cringe a bit, only because I don’t like the rigidity of most “styles” of eating–including the Paleo-Craze. I’m an “all in moderation” Mama, with a strong lean in toward organic, raw, and nourishing foods. I really do love some of the creations that fit into Paleo recipes, however. And after finding “Zest” Cookies in Whole Foods (for about $3 a piece!) and fearing complete addiction, I knew it was time to play around. I made this recipe up a few weeks ago and tried it out on my colleagues at Noeticus Counseling Center, and these cookies didn’t even last the afternoon! So here’s a second attempt–and they’ve turned out so good I probably need to get them out of my house quickly! Give them a try–I’d love to hear what you think! ½ C Shredded Organic Coconut. Lately I’ve been using closer to 3/4 cup, and I actually like them better! (Be sure and get the “finely shredded” coconut designed for baking. Mix flour, coconut, walnuts, salt, and soda. Melt coconut oil, honey and maple syrup together. Add egg and vanilla and beat well. Add the above to flour mixture and blend well. 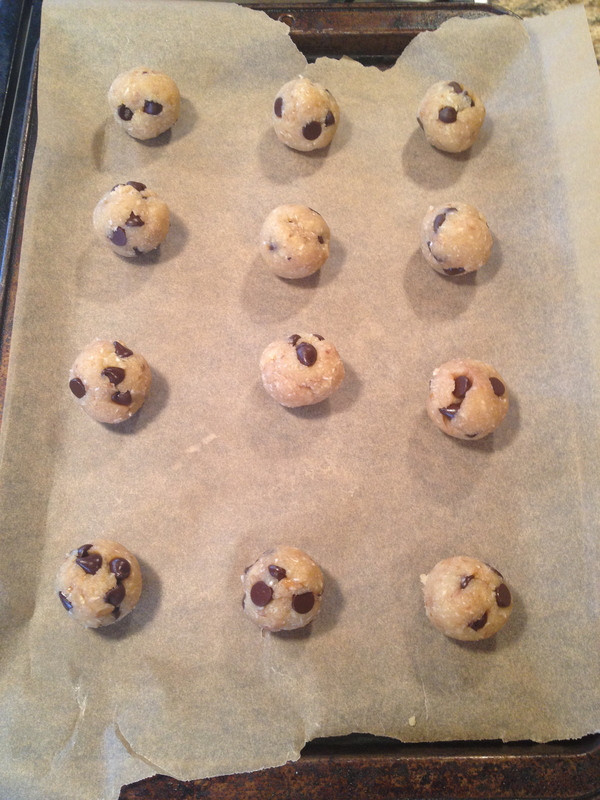 Roll into balls and place on parchment paper on flat baking sheet, about 3” apart. Bake @ 350 degrees for about eight minutes. Flatten with a spatula and bake for two more minutes. Remove from oven, let cool, serve & Enjoy! After you add the coconut oil/honey/syrup mixture, wait until it cools before adding the chocolate chips or you’ll have chocolate cookies! 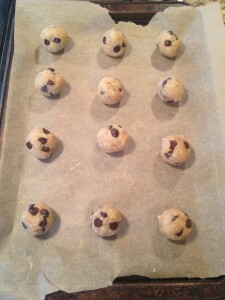 I’ve found that flattening the cookies just a little prior to baking works better than flattening them with a spatula at the end–less mess! This was my first attempt at a Paleo-friendly pancake and they really did turn out perfect, in my book! They might not be perfect “looking,” and it did take a little practice to get the flipping down right but, after a few trial runs, it got a little easier. I’ve been skipping out on Sunday morning waffles and pancakes because I just don’t like the way my gut feels when I indulge in the load of carbs–especially wheat. So now I am feeling more involved in the Sunday morning ritual! 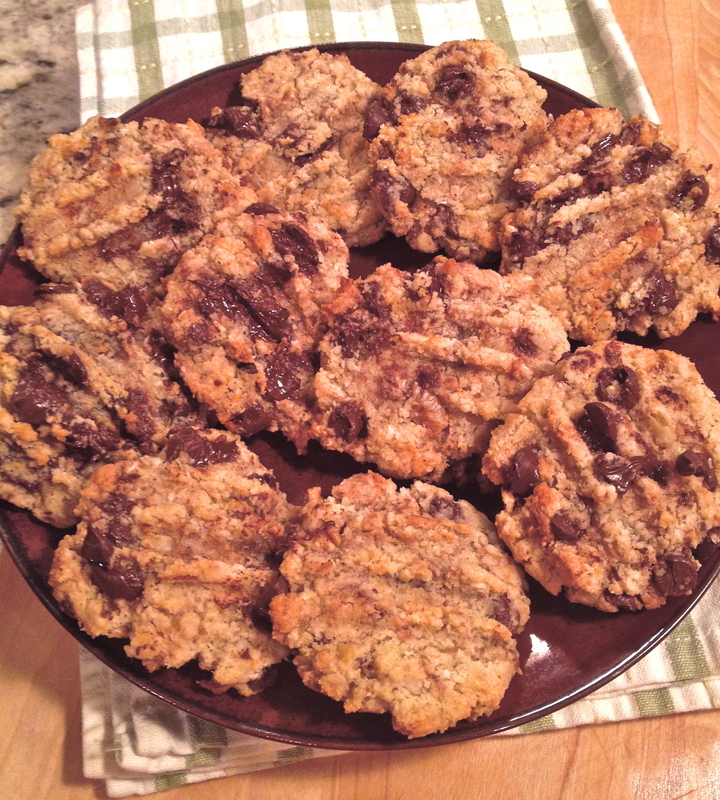 Here’s my practice of Paleo-Indulgence ….Now just add a little bacon and I’m set! In a medium bowl, sift together the almond flour, baking soda, salt and cinnamon. In a separate bowl, mix the remaining ingredients well. Mix the wet and dry ingredients together until well blended. Heat a frying pan to medium heat with a bit of coconut oil (spray works well). If pancakes stick to your pan, make them smaller. Flip when they begin to bubble a little and the edges start to crisp up just slightly. Give yourself some time to get the flipping down right…. 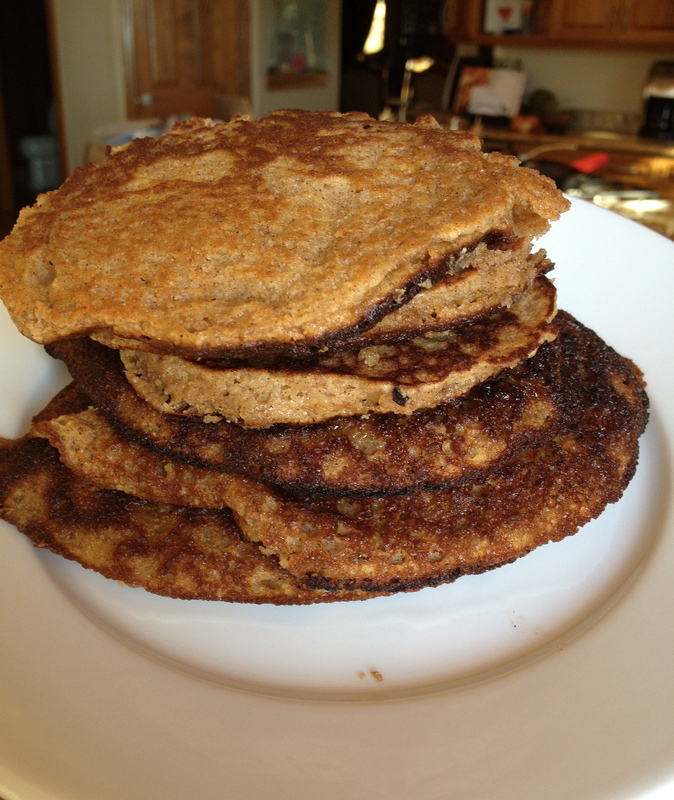 These are a little more difficult than regular wheat flour pancakes! Top with a little Coconut spread—I am really liking the Earth Balance Organic Coconut Spread! –and a little Grade A Pure Maple Syrup and Enjoy!